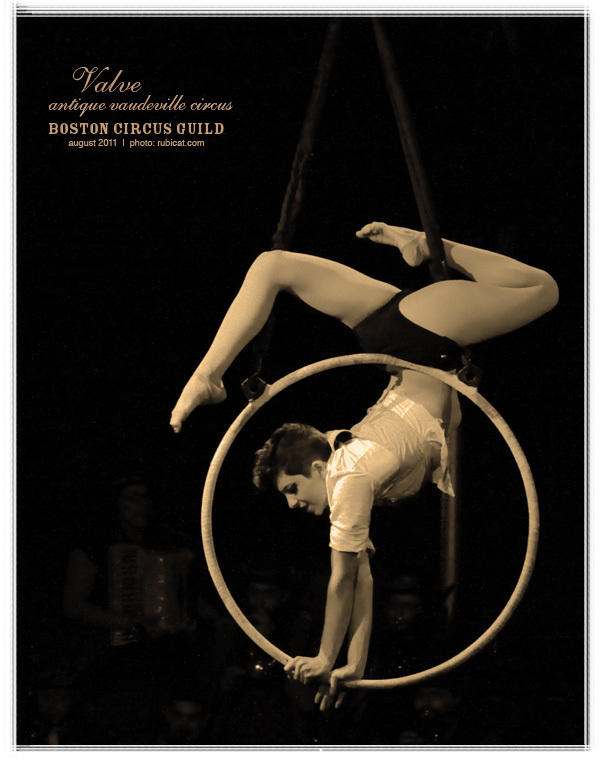 Last Friday Boston Circus Guild presented VALVE: Antique Vaudeville Circus at Oberon in Harvard Square. The show featured a tea party stuck in time, and silliness and mayhem ensue. Despite my love of low-light photography, cabaret-style lighting continues to prove challenging. View the entire batch of photos on Boston Circus Guild’s Facebook photo album. Rachel Stewart, VALVE: Antique Vaudeville Circus, August 26, 2011. Photo by rubicat.com. Henry Wheaton, VALVE: Antique Vaudeville Circus, August 26, 2011. Photo by rubicat.com.